A word of warning: Twitter actions have been so successful that the Daily Mail has turned off online adverts on ALL of its comment pieces. This is great news and proves that hate can be unprofitable, but of course means that many of the most extreme examples are no longer being advertised on. 3. Send a tweet of the screenshot and tag the company advertising. So for the example above, you would tag @bt_uk. You can also tag @stopfundinghate so we get notified and can retweet it. You can also use the hashtag #stopfundinghate. And that’s it! Please keep your tweets polite – companies are much more likely to respond if you do. Online advertising is normally done automatically through intermediaries called ‘exchanges’. This means that companies often don’t know where there adverts are appearing. Adverts can be placed on sites based on your browsing history, keywords on the site or because of the particular audience demographics of the site. By clicking on the Mail, Sun and Express, and screenshotting the advertisers we can see exactly who is spending money to fund hate online. Without this knowledge, we wouldn’t be able to do so. And it works. Online retailer Joy, Farmdrop and Good Energy have all responded positively after being sent screenshots. It might not be ideal to click on these sites. Many people would not ordinarily do so out of principle. But it’s a highly effective way of convincing advertisers. 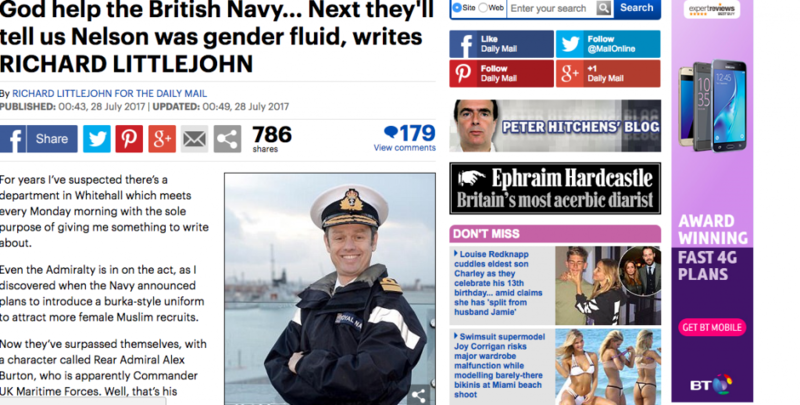 By seeing their adverts right next to hateful or discriminatory content, they see straight away what the effect is. And the amount made from one person clicking on an article is tiny – often less than 0.1p. Please take to Twitter and help more companies to #stopfundinghate.